Continuing in the Tralfamdorian spirit referenced in my last post, I ask my readers to leap back with me exactly 100 more years (from the time of the publication of A Rose For Emily) to the year 1831. 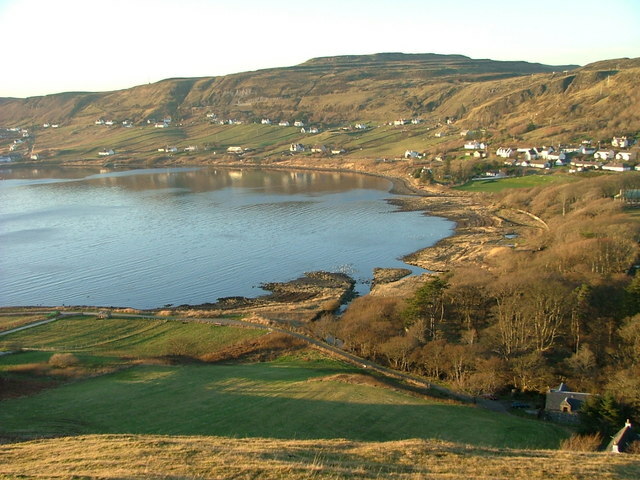 It was in this year that Malcolm MacLeod found a hidden trove of artifacts that have become known as the Lewis Chessmen, after the Isle of Lewis in the Hebrides where they were unearthed near the bay of Uig (pictured today below). Also, the Wikipedia article about the Lewis Chessmen is actually pretty good if you want to google it. As a former “serious” tournament chess player, I can’t imagine playing a game with them though, as their shapes are too dissimilar from those with which I have played thousands of games. I would, however, love to have them on a shelf or mantle so that I could gaze appreciatively at them from time to time. Note: I think the meaning of “hoard” has somewhat changed across the centuries. There used to be an implication of “hidden-ness” to it, whereas now it seems to be most commonly used as a term for amassing a large quantity of something and keeping it from others. Have you visited The British Museum? 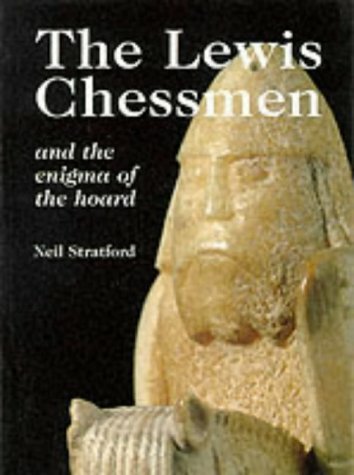 Have you seen the Lewis Chessmen? It was almost exactly 80 years ago that this story was published, on April 30th, 1931. It was actually a story I was supposed to read last week as part of my short story reading project (I’m a little behind). It’s a story whose reputation precedes it, and I was looking forward to reading my first William Faulkner in years. It left me melancholy and not a little confused. It’s the story of the pitiable life – and death – of one Emily Grierson, a relic from a time gone by. A scion of a Southern family rich in aristocratic privilege, she seemed to never have had A Life of Her Own. 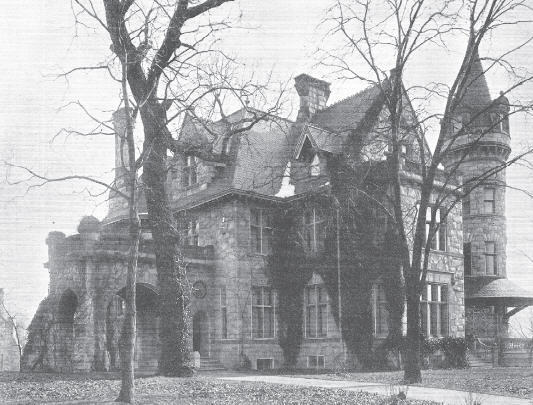 Her treatment by town officials and other citizens was full of deference and laissez faire, perhaps adding to and fixing her future as a recluse and a woman out of time and place. As a reader, I felt great sympathy for her, and feel the same for those people in society of any time and place like her. Perhaps as an illustration of Faulkner’s mastery, I was able to feel this sympathy in spite of not really knowing that much about her character. Was she crazy? I don’t know. Probably. Was she evil? I don’t know. Possibly. Is it her fault that she was probably crazy and possibly evil? I don’t think so. A couple “literary coincidences” (borrowing this term from Darlyn at Your Move, Dickens) accompanied my reading of this tale. For one thing, it’s told out of order. It starts with her funeral but then hops around her prior life before finally alighting again after her death. 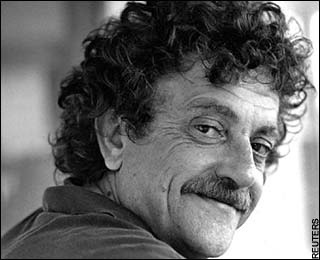 This is remarkable to me, for at the same time, this week I’ve also been rereading Vonnegut’s Slaughterhouse Five whose main character, Billy Pilgrim, becomes “unstuck in time” – a phenomenon which perhaps can best be explained by the Tralfamadorians, but essentially means switching to and fro between different moments of one’s lifetime (more on Slaughterhouse Five when I finish my reread). I don’t know what else to say about this story without giving away too much of the plot details – or the fate of Homer Barron. So… Just read it yourself! It’s only about eight pages long, and is available for free in many places on the Internet. Here for one. 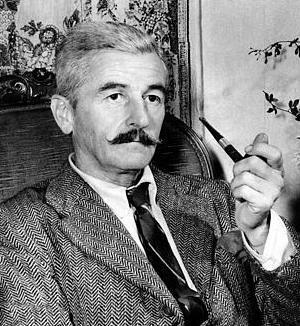 Have you read any Faulkner? Is this short story representative of his other work? What else of his would you recommend that I read? A Little Dostoevsky This Spring? 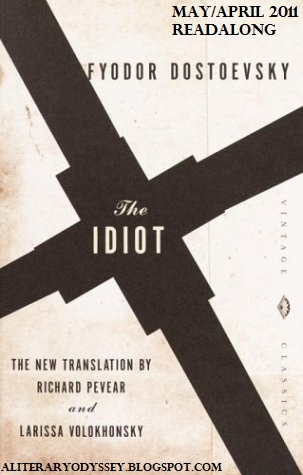 So… anyone want to read Dostoyevsky’s The Idiot with me in May & June? I’m 90% sure I’m going to jump into Allie’s Dostoevsky Readalong at A Literary Odyssey. I’ve participated in a couple of her readalongs before, and it’s a great way to have kind of an online book club meeting. It’s a long book, but the read along is divided into 4 parts, so there’s less “pressure” <shudder>. Well, why am I explaining this, you probably already have clicked the link above to check out the details. Although the picture below says May/April 2011 readalong, it really is May/June. One of the enduring hobbies of my life has been hiking. Not extreme, multiple day, backpacking hiking, but rather what’s commonly called day hiking. I came by it honestly. My Dad’s profession was that of public school teacher, and many a year my family would pack up our gear and head out on an extended camping trip during the summer months. We went all over the country, and I had visited every state in the continental U.S. – and also Canada and Mexico – before I was even out of high school. We went everywhere, but my personal favorite destinations were always in the mountains. I guess growing up in flat-as-a-pancake Indiana left me more awestruck by that terrain. I also had a boss at my last job who enjoyed camping and hiking. A few years ago, he took his vacation with several others in the mountainous back country of Wyoming. 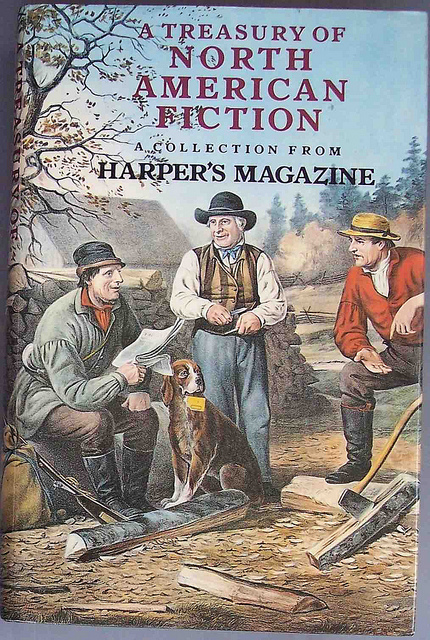 They had a guide – from the Sierra Club, I believe, or at least sanctioned by that organization – and hiked several days through largely unspoiled country. Naturally, this inspired much envy on my part. 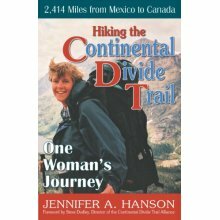 It was also when I learned that one of his sisters had “hiked The Continental Divide Trail” and had written a book about it(!!) I had never heard of anyone doing that. Heck, I didn’t even know there was such a thing. (After reading, it turns out there really isn’t – at least not in the traditional sense) I had read and immensely enjoyed Bill Bryson’s “A Walk in the Woods” (about his hiking portions of The Appalachian Trail) several years ago, but this was something on a whole different order of magnitude. Jennifer Hanson’s book did not disappoint. It brought back a flood of memories of my own hiking experiences, and was inspirational in its chronicling her determination to finish the hike even after her husband had to drop out due to an injured nerve in his foot. The book also gave me an appreciation for the vast amount of logistics and preparation required for such an endeavor. Her encounters on the trail with all kinds of natural phenomena and animals rekindled a longing of mine for similar adventures, but alas I am probably getting too old for that. Let’s Bring Back the Fortnight! A couple of months ago, I jotted down a note to myself to someday write a blog post about the term fortnight and how, perhaps sadly, it has fallen out of use. 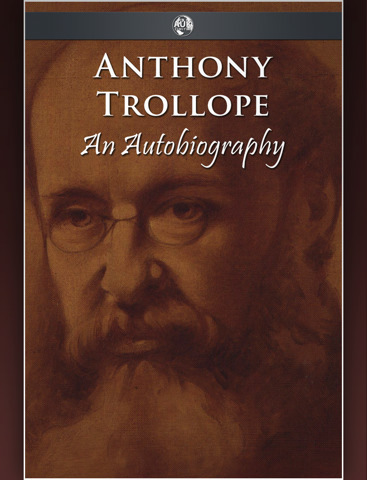 Like many reminders, I had forgotten this note until yesterday, when I not infrequently (as Trollope would have likely put it) came across the term while reading Anthony Trollope: An Autobiography. The most memorable episode was when he was involved in establishing a periodical in London called “The Fortnightly.”. Apparently it didn’t garner the success he had hoped and the venture was sold to another, who determined part of the problem was the frequency of its issues, and it took on a monthly publication schedule, carrying on month after month, with that misnomer. So, why has the term “fortnight” fallen out of usage? It seems so charming and useful, but these days about the only time we are introduced to it is when we read the classics. I just paused here to do a little online research and it seems the term IS still used often in England, but just isn’t common in the English-speaking United States. So why is that? Do we not feel the need for a measure for a length of time that is greater than a week and less than a month? At first I wondered if the term fell out of use as life spans increased and fourteen days had once represented a greater percent of one’s (expected) life than it does now, but if it’s still used, that explanation falls hollow. I personally like the term. It would seem a natural division whose use would still have value. For example, I get “paid fortnightly” at the company I work for. If no other reason exists, this certainly is enough to make it important to me. A fortnight fits more conveniently with a lunar cycle (roughly 29 days) than months (up to 31 days). Where it might seem even more useful is that it’s a good, round time in which things could get done. “I could have that for you in a couple weeks,” or “look into it for a couple weeks and get back to me.” Once upon a time, my eccentric side flirted with the idea of using the lunar cycles as beginning and ending points for projects and goals, etc. Perhaps I will start using the fortnight. Here’s an even better idea: use the lunar cycle and plan stuff for the first two fortnights and make the leftover day a (lunar) monthly personal holiday. Ooh, I like that. I divide the people I know who are avid readers of ghost stories into two groups: Those who’ve read “Smee” by A.M. Burrage and those who have not. It’s not particularly horrible. It’s not graphic. It’s not violent or gory. It’s not necessarily the best written ghost story I’ve ever read either. But it never fails to turn the skin on my forearms into gooseflesh. It’s much better than hide and seek. The name comes from “It’s me”, of course. Perhaps you’d like to play it instead of hide and seek. Let me tell you the rules of the game. Every player is given a sheet of paper. All the sheets except one are blank. On the last sheet of paper is written “Smee”. Nobody knows who “Smee” is except “Smee” himself – or herself. You turn out the lights, and “Smee” goes quietly out of the room and hides. After a time the others go off to search for “Smee” – but of course they don’t know who they are looking for. When one player meets another he challenges him by saying, “Smee”. The other player answers “Smee”, and they continue searching. But the real “Smee” doesn’t answer when someone challenges. The second player stays quietly beside him. Presently they will be discovered by a third player. He will challenge and receive no answer, and he will join the first two. This goes on until all the players are in the same place. The last one to find “Smee” has to pay a forfeit. It’s a good, noisy, amusing game. In a big house it often takes a long time for everyone to find “Smee”. “Obligatory” reads: I have two. My book club is reading I Capture the Castle by Dodie Smith. I am actually the one who put this book on our club’s “bookshelf” after reading so many great things about it from my blogging colleagues last year. Someone else picked it to read, but in a sense it is “my” book. The way my club works, usually every three or four meetings you’re either reading a book you added to our shelf or a book someone else added but you picked. I like that, as members have a “connection” with double the books than a normal club where everyone just takes turn picking a book they recommend. In our club, you have to pick a book someone else recommends. 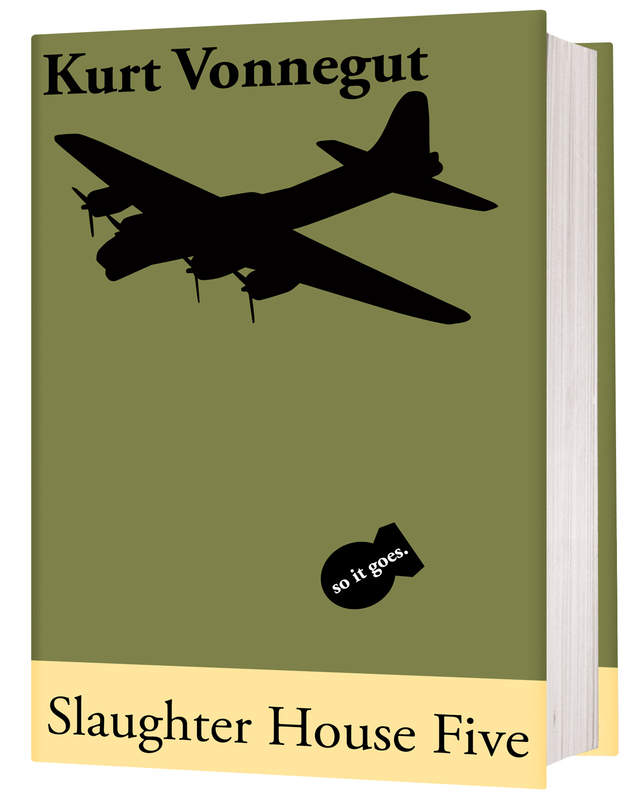 My other book club, the KVMLBC, is reading Slaughterhouse Five this month. It’s the second month in a row we’re reading a book I’ve already read, but I plan on reading it again to refresh my memory for the meeting. Let’s see… What else? Oh, a former boss gave me a copy of a non-fiction book his sister wrote about hiking the Continental Divide Trail. I’m really looking forward to this one as well, since I have hiked a lot in the mountains myself. Another non-fiction book I hope to get to is Dr. Richard Gunderman’s book about the nature of philanthropy, We Make a Life by What We Give. 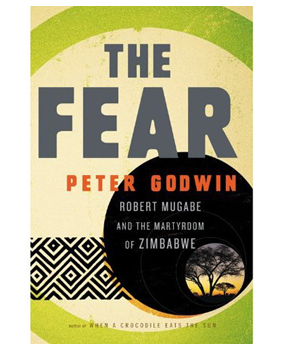 This book is a little out of my comfort zone as far as reading genre goes, but Gunderman happens to be a former college roommate of mine and one of the smartest people I’ve ever actually known personally. Well, I’m sure I won’t get to all of those this month, but probably four or five will be completed. I also have my ongoing short story reading project. 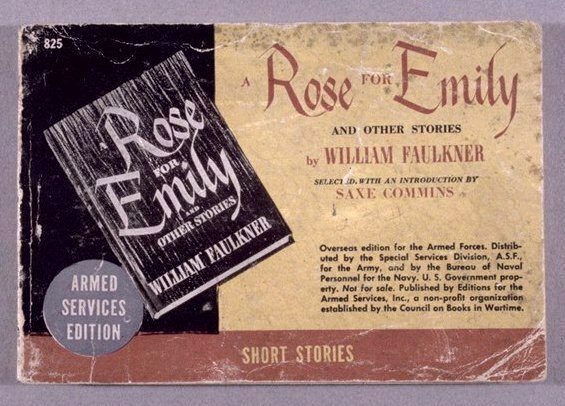 I drew a new card Saturday, and it turned out to be Faulkner’s “A Rose for Emily,” but I haven’t read it yet. I’ll have that one and probably three more stories to be randomly determined as the weeks unfold. What about you? What are you reading in April? Are we reading any of the same things? Is there anything you’d recommend I consider for my may list? 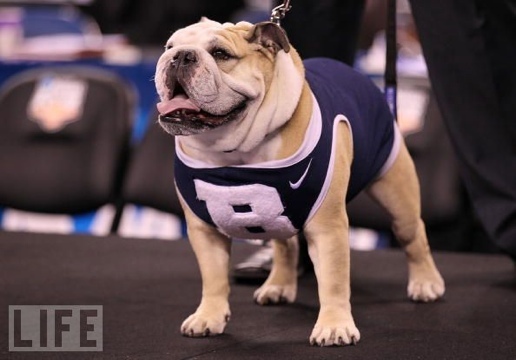 Oh, I almost forgot: Go Butler Bulldogs!! I had this story asterisked and marked that I read it on 3/31/1995 – almost exactly 16 years ago. I can’t remember a dang thing about it today. Maybe I will remember something when I start reading, but for now I am consumed with questions like, “What could a man do to corrupt a whole town?, Why would a man do this. What kind of town is Hadleyburg? Did he corrupt it on purpose? Well, I guess it’s time to find out – I’ll continue this post after I’ve read the story…. We never really learn (unless I missed it) what specific “wrong” the people of Hadleyburg had perpetrated on our title character, only being told. He does say this about it: “I passed through your town at a certain time, and received a deep offence which I had not earned. Any other man would have been content to kill one or two of you and call it square, but to me that would have been a trivial revenge, and inadequate; for the dead do not suffer.” How about THAT? Now, we all know I enjoy a good story of revenge (ahem, The Cask of Amontillado…), and this one does not disappoint. The stranger, who goes by (perhaps) the alias of Mr. Stephenson, employs a less bloody or violent method, but who is to argue that his results are less effective or more? I do not wish to include spoilers in this post, but I will say that the corruption of this town is brought about by one of the seven deadly sins, in this case Greed. 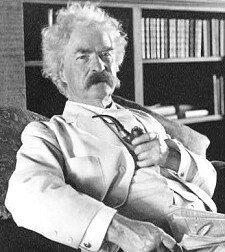 I found the story to be somewhat tough reading – especially for Twain – but the masterful construction and execution of the plot to corrupt the town won me over and prompts me to recommend the story to you as well. We only have an hour to meet. Some of that hour is spent administratively – what book are we reading next (Slaughterhouse Five if you’re interested), introductions, especially of first time attendees, and the informal rating of the book on a scale of one to ten. So naturally, that doesn’t leave a whole lot of discussion time. I wanted to share here a couple things that we didn’t get to or cover in the official meeting. The fictional substance that brings about the “end of the world” brought back a couple of memories. One was of the concept of the ‘seed crystal’ – I also encountered this recently when my book club read Robert Pirsig’s Zen and the Art of Motorcycle Maintenance (see chapter 15) last year. As Dr. 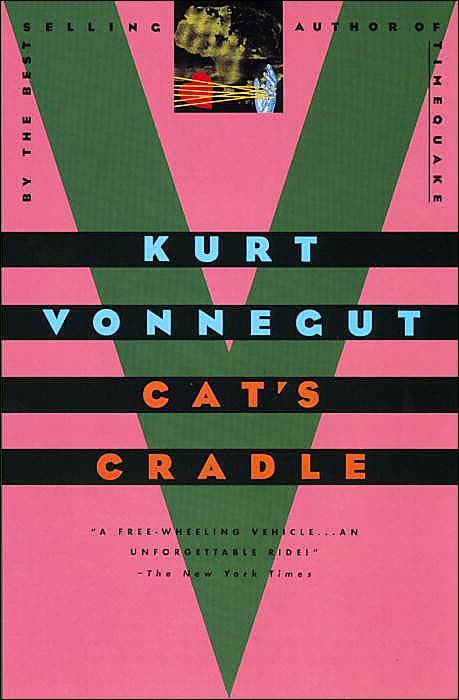 Breed says in Cat’s Cradle: There are several ways in which certain liquids can crystallize – can freeze – several ways in which their atoms can stack and lock in an orderly, rigid way. So it is with atoms in crystals, too; and two different crystals of the same substance can have quite different physical properties.” This reminded me of when I learned “why ice floats” back in high school(?) The angle of the bond of the hydrogen and oxygen molecues is slightly large in the frozen state, thus making it less dense than liquid water. I think it was my high school biology teacher who said – if the reverse were true, lakes and rivers would freeze ‘from the bottom up’ and wouldn’t that leave life and biology in a pickle? We skirted all around this at our meeting, but in Chapter 106 we learn that “Now I will destroy the whole world,” is something Bokononists always say when they are about to commit suicide. Think about that a moment and you will realize how in a sense it’s exactly true…. Many of us struggled – somewhat humorously too – with the pronunciation of Bokononism and Bokononists. We always seemed to want to add another “n” or leave one out! I also discovered in my ‘research’ after reading the book that there is a funk/punk/surf band in Winnipeg named the Bokononists. I don’t know if they’re still together now, but they were active as recently as last year. From what I read it seems, sadly, that they did not choose their name out of any deep appreciation for Bokononism or Vonnegut, they just liked the name. You can google them for more info. Also, we didn’t talk about the whole Bokononist cosmic creation myth, which I absolutely loved (I’ve always been fascinated with the differences – and similarities – of the creation myths of different cultures). To Bokononists, Borasisi (the Sun) held Pabu (the moon) in his arms and “hoped that Pabu would bear him a fiery child.” Unfortunately, “…poor Pabu gave birth to children that were cold, that did not burn; and Borasisi threw them away in disgust. These were the planets, who circled their terrible father at a safe distance. The poor Pabu herself was cast away, and she went to live with her favorite child, which was Earth.” Great stuff. I also read somewhere that a pair of “trans-Neptunian” (I think that means beyond the orbit of Nepture?) objects in the Solar System have been named Borasisi and Pabu. Awesome. Now, my father was NOT like Felix Hoenniker in most of the other traits we learn of in Cat’s Cradle, but that spirit of excitement and wonder in learning is something they shared. Hopefully I have inherited part of this spirit as well.